If you are a parent sending your child off to college, there is a good chance that you are still going to be supporting your child in a number of ways, either financially or otherwise. One situation that often arises for parents is that their children will need a co-signer for a college apartment. Since college students often have no jobs and no credit, it only makes sense for a landlord to want a parent or guardian to provide a guarantee that the child will take on the financial and other responsibilities of apartment living. While most parents want to help their kids out, co-signing a lease is not without risk. In fact, there are some pretty significant financial dangers associated with agreeing to be responsible for what your child does in a college apartment. The biggest issue and the most major risk is that become financially responsible and your credit can be damaged if the rent on the apartment isn’t paid. You could also be held financially responsible for other costs incurred; for example, if there is damage to the apartment or if the lease is broken. The risks of co-signing also become more serious if your child is going to be living in the college apartment with roommates. Even if you are paying your child’s rent or you are confident your child will be responsible, do you have the same confidence about your child’s roommates? Are you co-signing only to be obligated for your child’s share of the rent? Usually, it doesn’t work that way and you become responsible for all of the rent if your name is on the lease. This means if one of the kids living in the apartment decides to leave without notice or can’t come up with his share of the money, you risk having to pay the bill or else experience black marks on your credit report. Can I see a copy of the lease? Do not EVER sign anything without seeing a copy of the lease first. Some landlords may assume that a college student won’t read the lease carefully and it may contain disadvantageous terms that protect the landlord but not the tenants. How long is the lease? Remember, your child only goes to school for a portion of the year- are you obligated to pay rent when your child is out of school for the summer? If so, make sure your child plans to stay in the college apartment at this time. 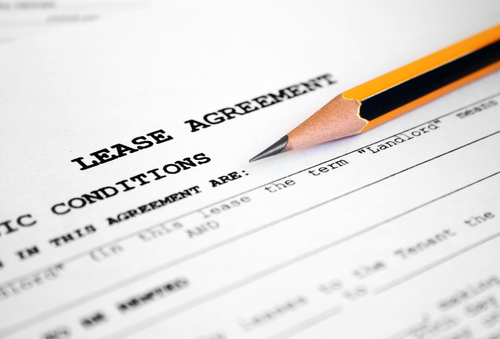 The longer the lease, the more risk there is to you of co-signing because the more time there is for something to go wrong. How does your child plan to pay the rent? If you don’t plan on picking up the tab for the apartment, make sure that your child actually has a solid plan for doing so. What exactly are your responsibilities as a co-signer? Remember, you’ll usually become responsible for the rent for the entire apartment as well as for any other financial losses if your name is on the lease along with the child’s. If someone does serious damage to the apartment, you could thus be on the hook for it. You should also be sure to ask your child how much he/she trusts any roommates that will be sharing the apartment. In fact, meeting the roommates yourself before signing is a good idea since you are inevitably wrapping your finances up with theirs when you co-sign a lease for your college student.